Exposed is quick, fast-paced, and unquestionably suspenseful. Although each chapter is short, all have an impacting ending that will keep you fully rapt and turning the pages like an addict. Kava keeps Maggie busy in all her novels - but the unique concept of having her track a killer while in solitary confinement is a fun, novel spin. Also enjoyable is the returning cast of supporting characters who help Maggie solve her latest case. Just like thriller masterminds Jeffery Deaver and Lee Child, Kava uses several red herrings to throw readers off the killer's path. In fact, the foe in Exposed uses such genius and strategic methods to target victims that even seasoned readers will be surprised and entertained. Alex Kava definitely ranks up there with Deaver and Child. Readers who read and enjoy Exposed should follow it up with books 7 through 10, all of which are displayed below. 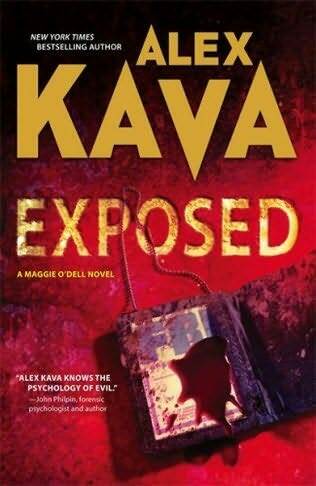 What are your favorite thrillers by Kava? Who is your favorite thriller and suspense novelist? Share your thoughts with us in the comments section below this review.